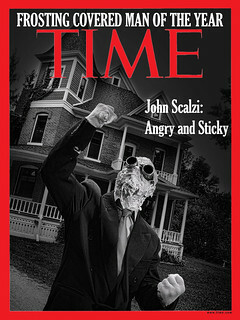 Generally speaking, when you search for “Scalzi” on the Internet, you usually end up with me, because, of course, I’m a raging egomaniac who has spent the better part of the last decade infiltrating every last nook and cranny of the World Wide Web. But occasionally another Scalzi will show up. Such a one is Mike Scalzi — not related as far as I know — who is the lead singer of Slough Feg, a band which, according to its Web site, “is an eclectic mix of Celtic Folk and Traditional Metal peppered with buckets of energy and lyrical depth.” Because, damn it, Celtic Frost was a total letdown in the Celtic Metal sub-genre, and Slough Feg is here to reclaim and wave that flag. But don’t just take the Web site’s word for it: check out “I Will Kill You/You Will Die,” a song in which, presumably, somebody kills you, apparently Mike Scalzi, and then you end up dying. That’s truth in advertising for sure. It’s from Slough Feg’s all-to-appropriately-named album Atavism. 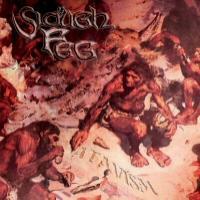 And if you enjoy that, here’s some more music from Slough Feg, from the band’s site. Rock on, Slough Feg! 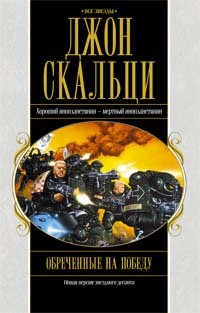 So, apparently Old Man’s War has now been published in Russia, under the title Обреченные на победу, which as I understand it translates as something like “Doomed to Victory.” Which seems, you know, an awfully dour title. “Oh, okay, we’ll win, but we won’t like it.” But, hey, Eksmo (my Russian publisher) knows its market. And now I know definitively how to spell my name in Cyrillic. The cover art is recycled from an interesting place. My first Jim Burns cover! Well, sort of. 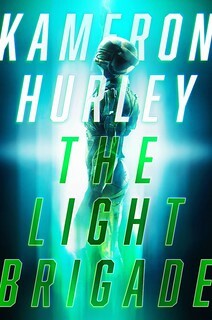 I got this picture off the Russian online store linked to above; I don’t have my own author copies yet. Come to think of it, I haven’t gotten my Hebrew copies of OMW yet either. Hey! I’m the author! Show me some love, foreign publishers!